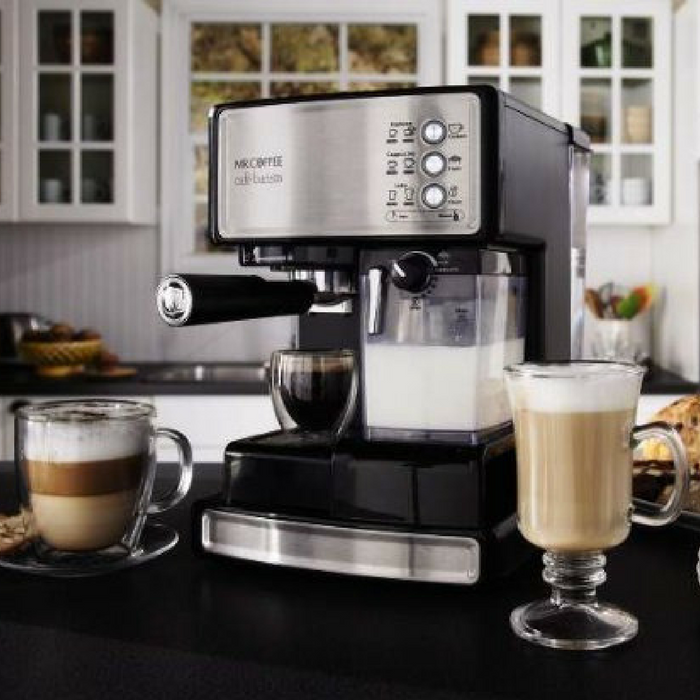 Mr. Coffee Café Espresso & Cappuccino System Just $106.39! Down From $200! PLUS FREE Shipping! You are here: Home / Great Deals / Amazon Deals / Mr. Coffee Café Espresso & Cappuccino System Just $106.39! Down From $200! PLUS FREE Shipping! Head over to Amazon where you can score this Mr. Coffee Cafe Espresso & Cappuccino System for just $106.39 down from $199.99 PLUS FREE shipping! Go ahead. Indulge. This easy-to-use Café Barista espresso maker from Mr. Coffee makes it easy to create coffeehouse-quality espresso drinks just like a professional. Now anyone can enjoy gourmet espresso-based drinks from the comfort of home no more unnecessary trips to the cafe. Effortlessly brew anything from rich aromatic espressos, creamy cappuccinos, and luscious lattes to more decadent variations like toffee lattes, cafe mochas, espresso martinis, and caramel cappuccinos. And that’s just the tip of the whipped, frothy topping a recipe guide loaded with 20 different delightfully delectable recipes comes included.